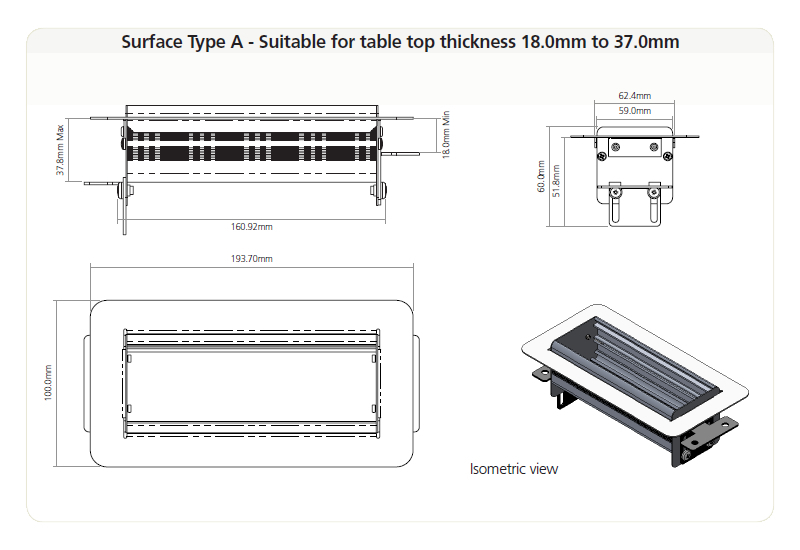 Surface is a new module that has been designed to fit the horizontal surface of any furniture. 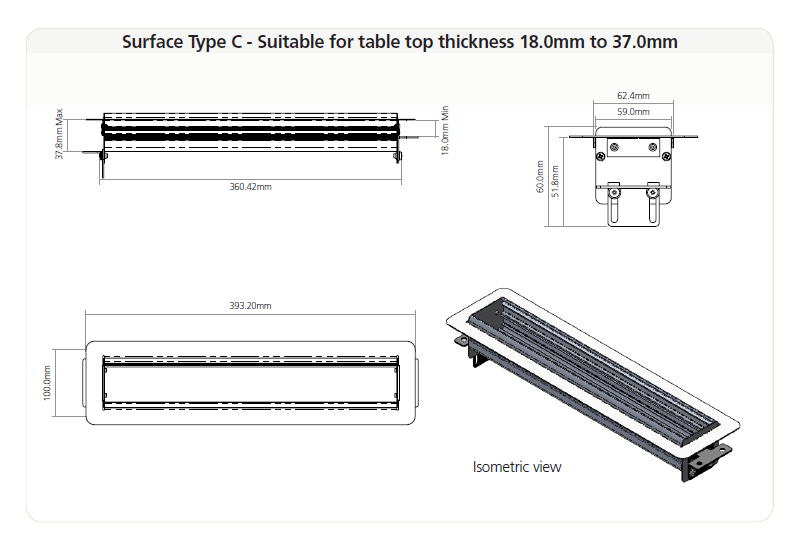 It features a seamless surround and socket faces that stand proud of the furniture, protecting them from accidental spillages making it the ideal choice for offices and commercial environments. 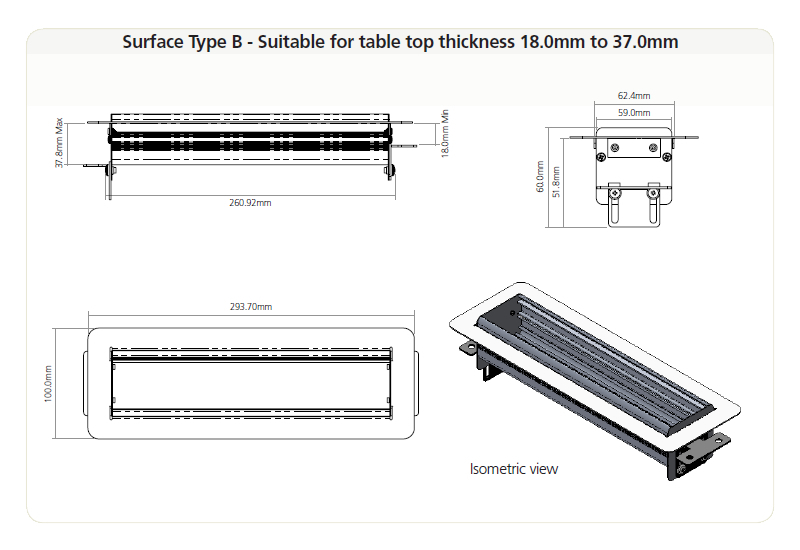 The Power Module has been designed to fit desk thicknesses of between 18mm and 37mm as standard but a bespoke solution can be developed for other thicknesses if required. Please ask a member of our sales team. 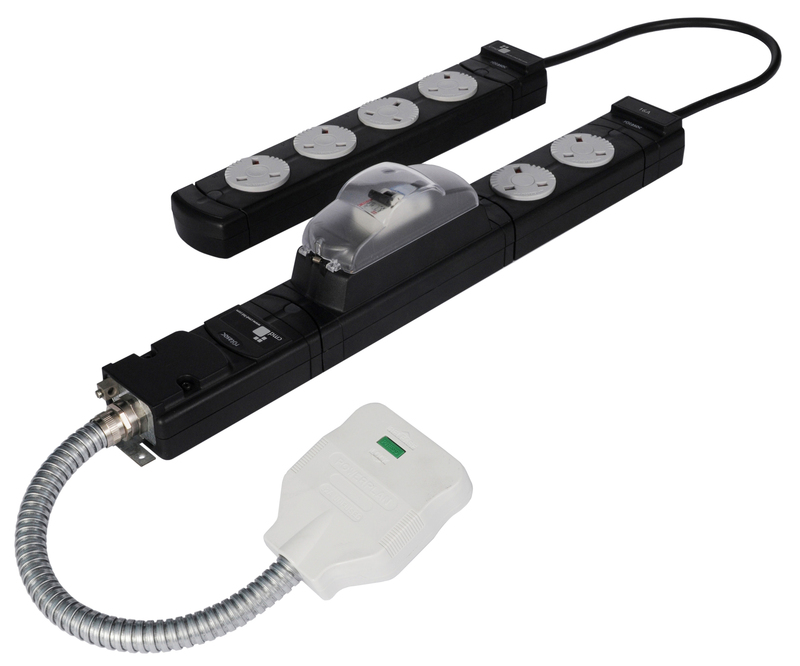 If you are looking for a power module that you could mount in a working wall or soft seating area, our Face module may suit your needs better. 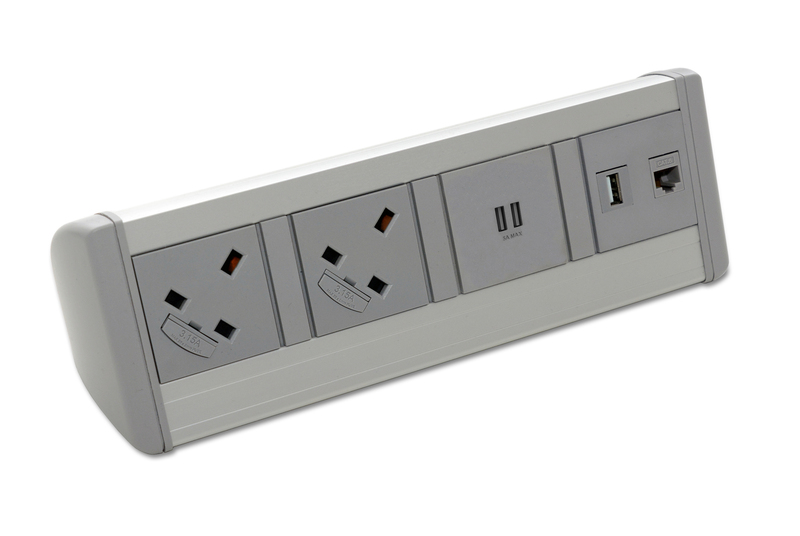 Raised power sockets protect them from spillages. 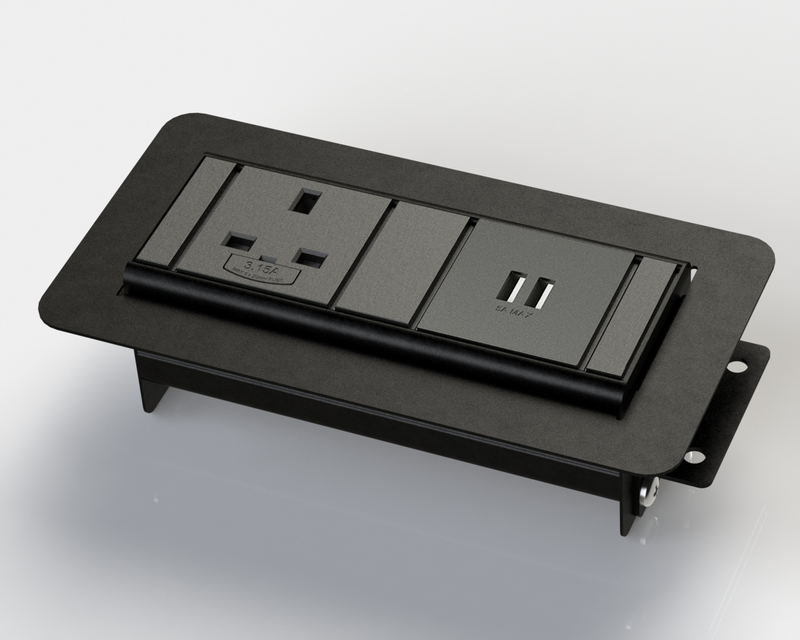 All our UK power socket versions feature individual fuses rated at either 3.15A or 5A allowing the unit to be compliant with BS 6396 and also complies with BS 5733. 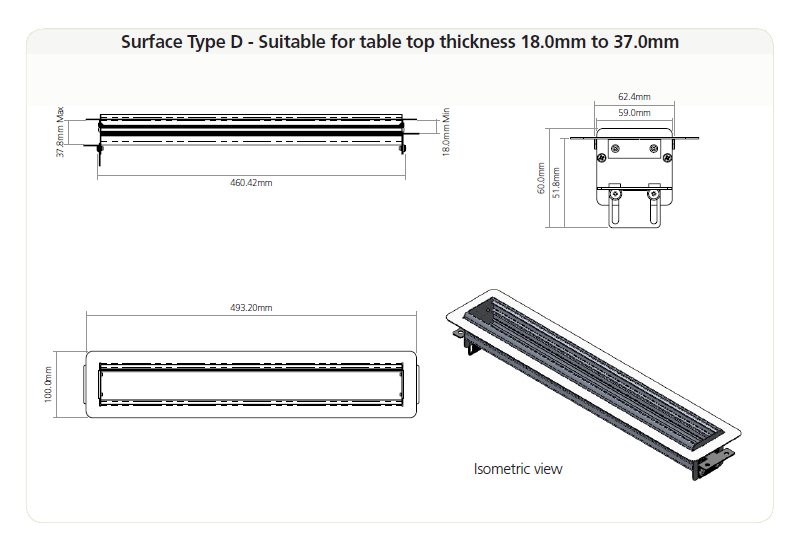 Once Surface has been positioned on the desk it can be secured from above and locked into position using under desk fixings.